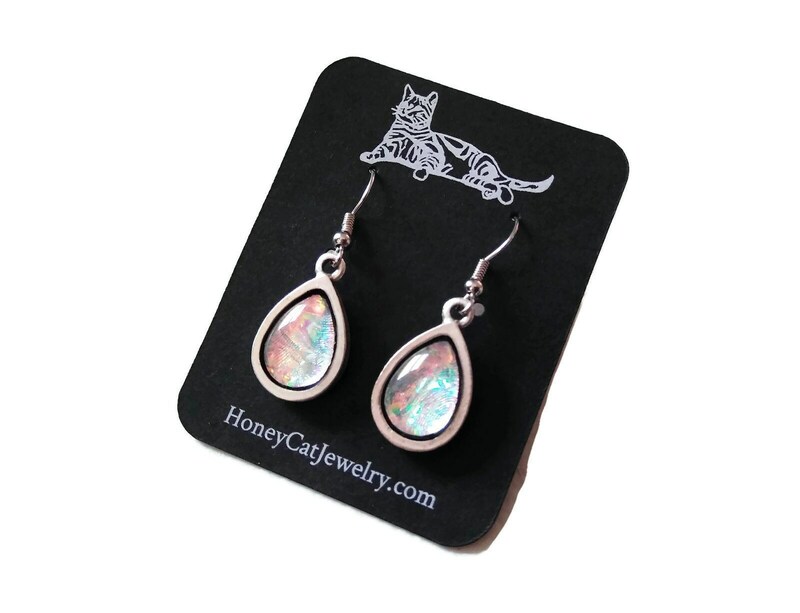 These teardrops pictured above measure approximately 22 mm each for the silver setting, and 38 mm tall from the stainless steel hook wire. 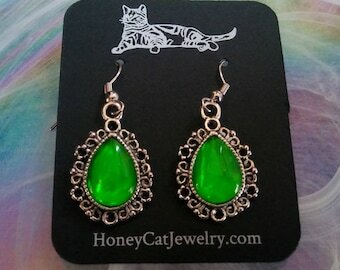 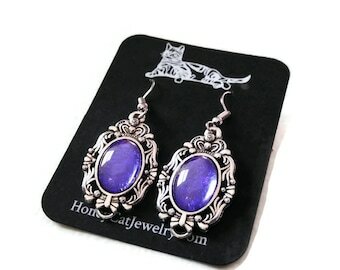 The radiant glass gem focal points have been meticulously designed and crafted by myself. 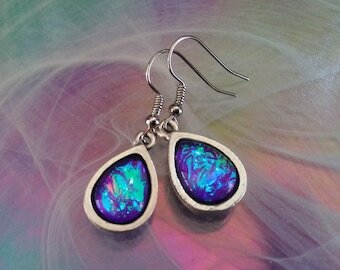 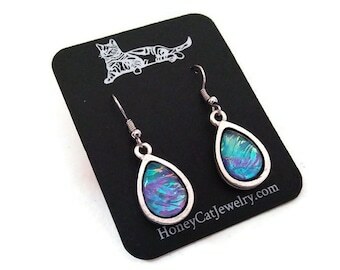 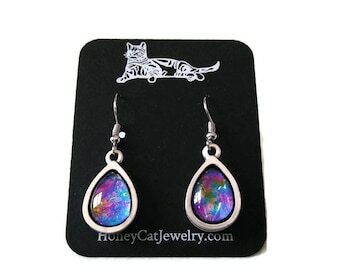 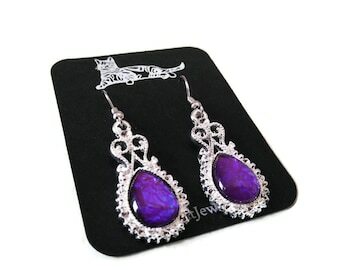 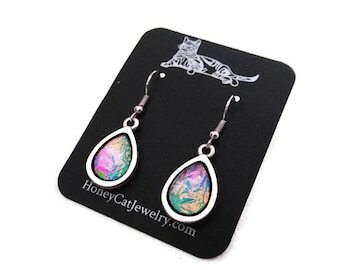 The color is a textured moonstone look with flashes of multi-colors.